Enthusiastic new management have given this shop a make-over (late 2017) and look forward to seeing both old and new customers. With spacious, modern treatment rooms and trained masseuses, this shop is a tidy and clean alternative for those looking for something more comfortable. Directions: Located in the pink building, right next to Wynstan Blinds - we are around the corner, just across Parramatta Road from the Bath Arms Hotel. Find us upstairs. Speciality: Well-presented Chinese and Thai masseuses skilled in therapeutic and relaxation massage, full body massage and stress relief. Parking: We have a spot available in the first carpark to the right when you turn into Neichs Lane from Parramatta Road. 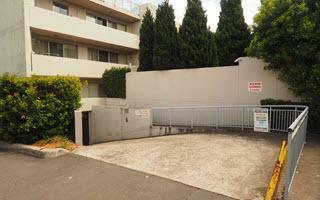 Otherwise there is underground visitor parking in the adjacent building - see photo below. Went for second time, very good service. Have new boss Amy and other nice girls. Good price also. 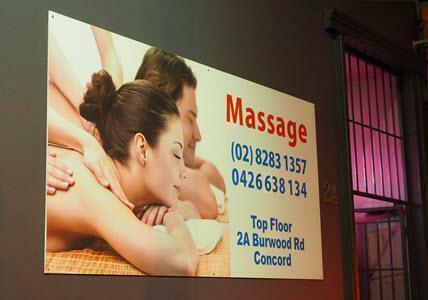 Looking for best relaxation full body in Concord, Burwood, Homebush, Five Dock, Canada Bay? Call 0426 638 134 or (02) 8283 1357 Now!